Are you looking for property management career opportunities? Learn how to start a career in property management and how to choose your property manager career path. Join us as we explore every aspect of a career in property management - Where to look for property management jobs, how to prepare your property manager resume (with our free sample) and how to ace your job interview. 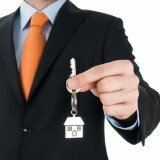 For those of you who are already property managers, no worries we have not forgotten about you - Get your property management career information here - How to compare your salary with other property managers, how to become a certified property manager and whether you should join a property manager association. Finding property management career opportunities isn't that hard... if you know where to look. Join us as we reveal the best websites for finding property management jobs. Looking for a good property manager resume that will boost your chances of being hired? No matter what job position you are applying for, you can count on our free template here. Before you become a property manager, find out exactly what you're getting yourself into. Join us as we describe the full scope of property management tasks in detail. Whether you're a property manager or owner, our sample property management contract will help iron out the details of your manager-owner relationship. Find out how to kick start your real estate management career today. Learn what the important steps you should take to become a successful property manager. What are the Different Property Manager Positions? Do you know what lies ahead in your property management career path? From the humble on-site manager to the accomplished senior property manager, find out what are the requirements and responsibilities at every level. How much should you be earning as a property manager? Find out the answer as we show you how to find and compare your salary with other property managers in the same area and similar job positions. Most experienced managers will agree that having right property management certification will do wonders for your career. Find out which certifications are worth your time and effort. Discover the top property management associations in North America today. Find out what they can offer you and whether it's worth paying for their membership fees. Buildium is an all-in-one property management program with a huge list of practical features and add-on services that makes managing rental property and tenants a breeze. Some of Buildium's notable features (that are rarely found elsewhere) include allowing users to accept rent payments online, run credit checks and manage rental cash flow directly from the bank account. Despite its wide array of powerful features, it remains easy to use with plenty of step by step instructions. Buildium is highly recommended to serious landlords and property managers looking to save both time and money. Click here for our full review of Buildium Online Rental Property Software.